At Horox Outfitters LTD we pride ourselves in providing you with top notch services and an experience to remember for a lifetime, but don't take our word for it. Please contact us and we will be happy to provide a list of references willing to discuss their hunts or experiences. I have known Josh for better than a decade and have sent literally dozens of hunters to hunt with him. He has an excellent reputation as a hardworking outfitter that does his best to provide a first class hunt! I personally hunted mountain lions with him this past winter and what an incredible hunt it was!! Josh is a hunting machine and went above and beyond, as he is known to do. His magnetic personality along with hard working guides make him one of the best! I would send my best friend with him - No Question! I have hunted elk several times with Josh. It is an experience that you will never forget. 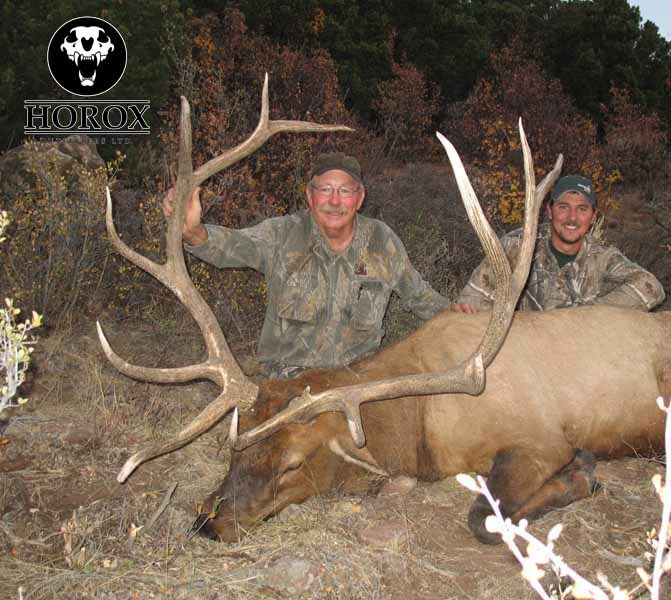 Bugling bulls and 100s of elk make for an amazing hunt! I also have hunted lions and bears with Josh. He has some of the best hounds around. It is a great adventure. Josh never gives up, and he is also a great guy to be around.